There was some news about Firestorm released at the recent San Diego Comic-Con. 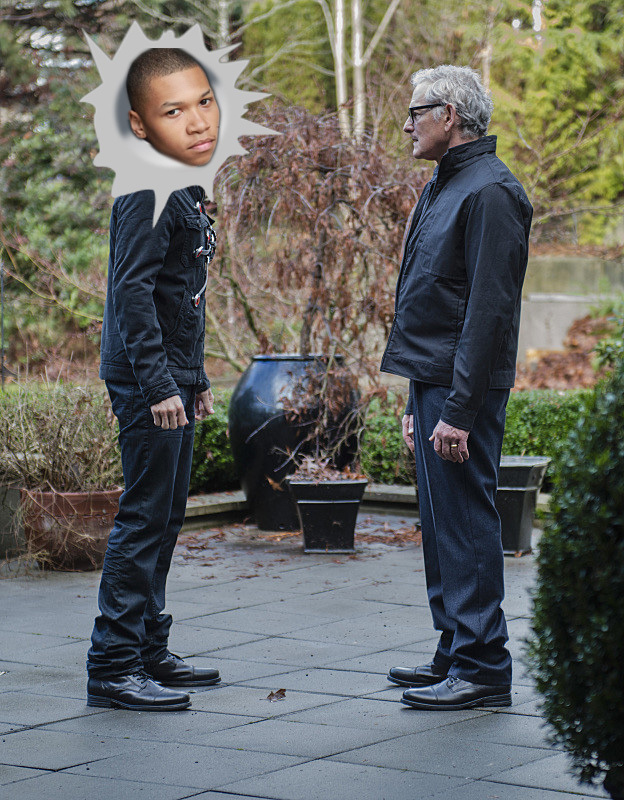 Looks like Match-heads will be saying goodbye to Robbie Amell and hello to Franz Drameh! Why No Robbie Amell on Legends of Tomorrow? Will Jay Jackson join Professor Stein to become Firestorm? What we do know is Franz Drameh is playing Jay Jackson, a former high school athlete, whose pro-career was derailed by injury. Now making ends meets as an auto mechanic, Jay will come to have a surprising affiliation to the S.T.A.R. Labs crew. Speculation is that Jay Jackson is a stand-in for the comic character Jason Rusch. Legends of Tomorrow writers may be avoiding the name “Jason Rusch” since a character named that was introduced in the previous season of The Flash. Folks are also speculating that Ronnie Raymond will die in The Flash season premiere, causing Caitlin Snow emotional turmoil resulting in her becoming Killer Frost. Sorry for the delay in getting this news to you folks. I was on the road for a week (hence the lack of posts here). My thanks to the numerous folks who shared these news stories with me. Y’all are the best! Posted in: Firestorm #01: Original (Ronnie/Martin), Flash TV Series, Jason Rusch, Legends of Tomorrow, Professor Martin Stein, Robbie Amell, Ronnie Raymond, Victor Garber. …Why don’t they go with Jason? Gee, sounds like the original edition of Ronnie. So… why make the change to Ronnie? To give Firestorm that connection to Killer Frost? But… you’re killing that connection to Frost. Why? What? How? This is making so little sense. I can understand concerns here. It’s also fair to point out that we don’t know what is going on behind the scenes. We know they need to push Caitlin emotionally, so that might be a story-driven reason to kill Ronnie. There may also be other factors unrelated to the story (i.e. possibilities could include Robbie Amell’s desire to continue in the role, salary negotiations, etc). Those are just speculative situations and are NOT based upon any rumors or things I’ve heard. This might have something to do with Robbie’s decision. Well, now we know why Robbie isn’t playing Ronnie in Legends – he’s been hired for the new X-Files series coming 2016. Dude’s moving up in the world! Still don’t know why Jason wasn’t used for to replace Ronnie. Heck, why not use Mikhail or Lorraine?